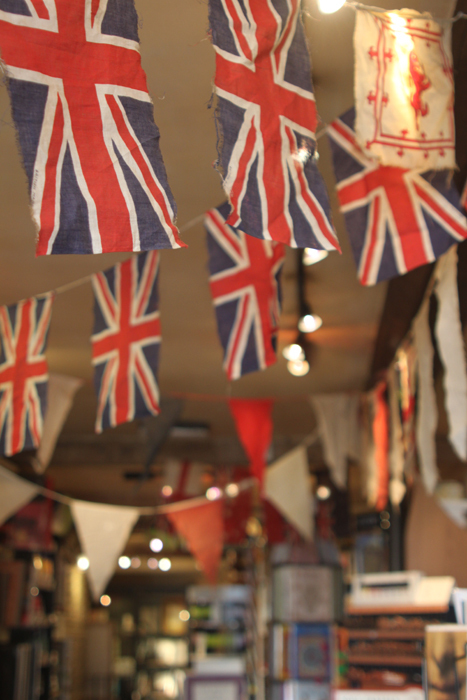 To celebrate our Queen’s Diamond Jubilee we have festooned our shop with vintage bunting from George VI’s Coronation, hung garlands of hand-cut and decorated paper flags in our windows, and filled baskets with white lupins. 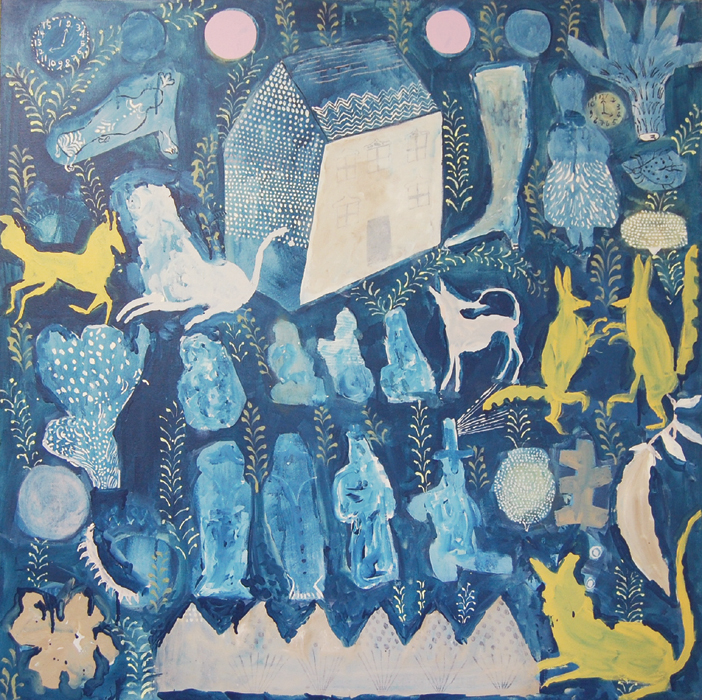 Our new show opened on Friday 4th May. Such a delight putting this work together. A cacophony of styles, processes and influences. In ‘Painters & Printmakers’ you will see limited edition etchings, linocuts, wood engravings and lithographs. 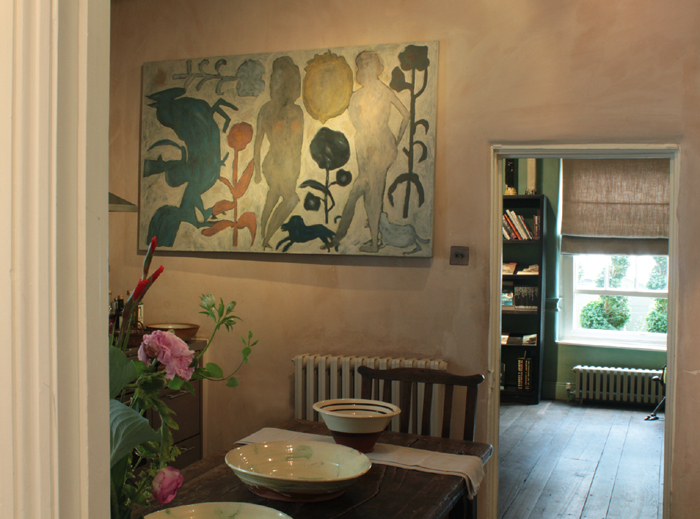 Paintings, drawings, stone carvings and embroidery.